It could have been worse, meaning I could have been eating a bowl of ice cream with fudge sauce. But I didn’t feel so bad because I went to the gym earlier in the evening. And plus, I was eating homemade apple cinnamon graham crackers. 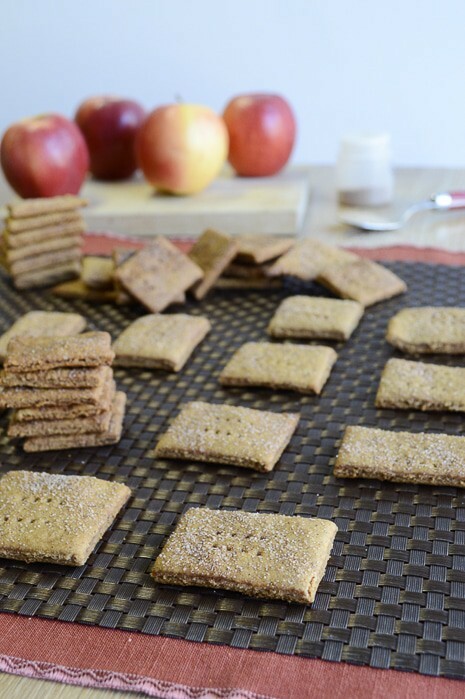 Homemade graham crackers is one of my go-to snack items. I would probably just buy them at the store like most normal people if I didn’t have a gluten allergy, but there is no way I am paying $6 for 15 crackers. Besides, using the pizza cutter to make squares and a fork to poke holes is pretty fun. The above picture shows half of the dough. 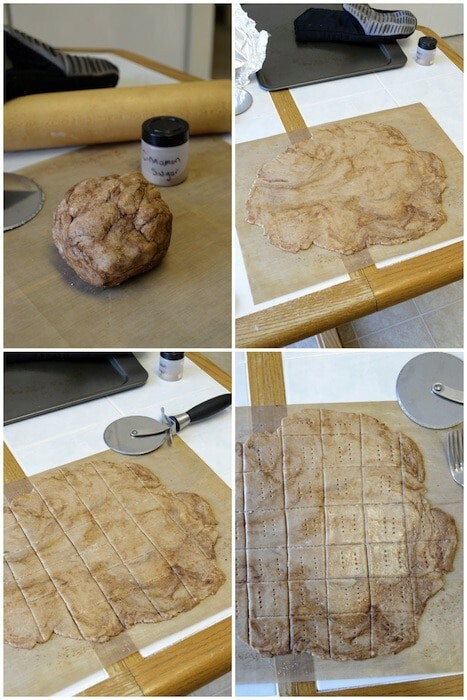 Combine 2 cups of the flour, baking soda, salt, and cinnamon. Cut in the cold butter, I use my fingers. Roll the dough into a ball, and chill in the refrigerator, covered, for 30 minutes. 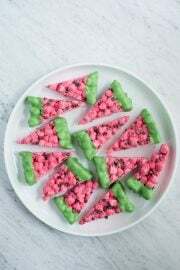 After chilling, preheat the oven to 350 degrees F.
Use a pizza cutter to cut the dough into squares and then use a fork to poke holes in each cracker. Sprinkle with cinnamon sugar, more the better! Bake for 18-20 minutes. At this point it depends on how you prefer your grahams, I like mine crunchy, not soft. Generally, I will remove the edge pieces because they might be getting burnt and continue to bake for 10-15 more minutes. The great thing about this recipe is that you can pull the crackers out of the oven, let them cool completely to see how done they are and decide to put them back in the oven if they aren't crunchy yet. Recipe adapted from our friend - Heather's French Press. 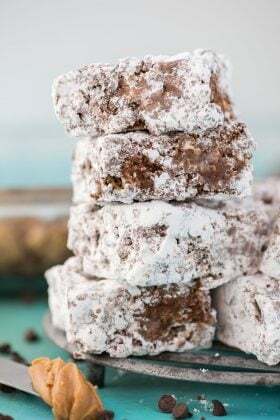 Homemade graham crackers have been on my bucket list. Thanks for reminding me I need to try them ASAP. Pinned! I love all kinds of graham crackers – enjoy Erin! Baha…you sound like me. I eat ice cream while watching The Biggest Loser sometimes. I have been looking for a good homemade graham cracker recipe. 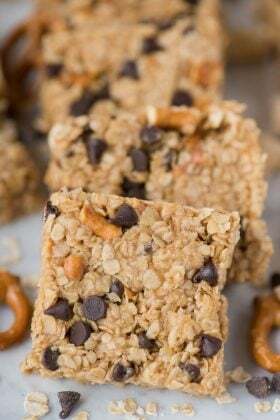 I love eating some before a run and they are my daughter’s fav snack. I’m defiantly trying your recipe! Thanks for sharing. Oh! I also like eating them before a workout! Wow those look so good! Thanks for coming by friend! You are going to have some lucky kids! Enjoy Aimee! These look great! My daughter will love making and eating them! That would be a fun thing to make with kids! Thanks for coming by Stephanie! Ahhh these look so good!!! 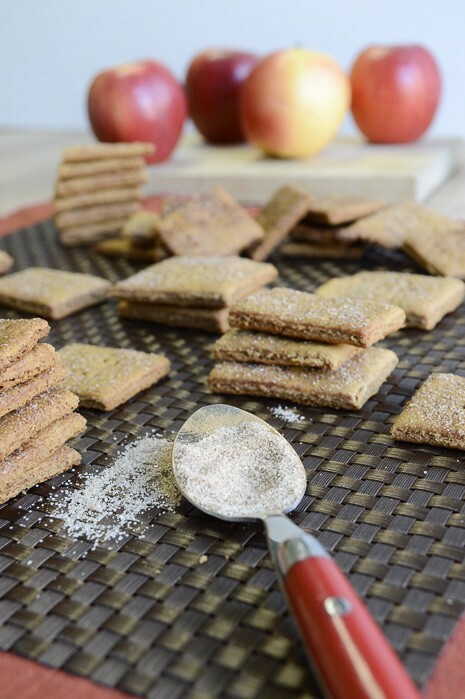 Oh my goodness, apple and cinnamon in a graham cracker?! Sounds so good!!! It’s a burst of wonderful flavors! Have a great Saturday Maria! Thank you for bringing your Graham Crackers to Family Fun Friday! They look delicious!!! :) Pinning for sure! Haha, so fun, if only they weren’t just virtual! You are very welcome Angela! I love stopping by your site! Do you use regular flour? Or graham flour? Looks amazing! You know, I feel like you could use whatever you wanted. I used all purpose gluten free flour. Graham crackers are very adaptable! Love this and I cannot wait to make it for my kiddos. Pinned and I am a new follower! Hi Joni! I am so excited you are along for the ride! 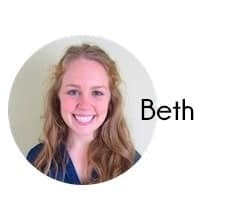 Beth I love everything you make :-) and this recipe looks fabulous as well! I find your posts at several link parties that I also go to! 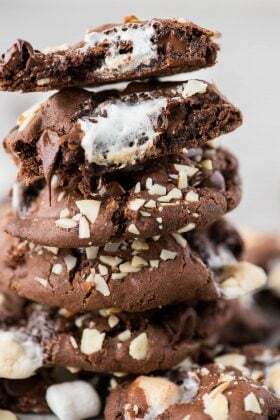 I pinned this recipe! Oh thank you Cathy! Yes, I frequent several link parties – we probably overlap! Hi Katherine! Sometimes I wish they would make themselves so then I would never run out! I love the swirled batter! Thanks for sharing on Foodie Friends Friday linky party! These looks and sound delicious! 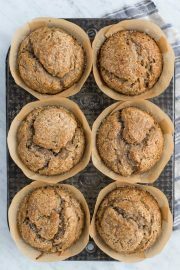 If you made yours gluten free, what flour/s did you use! I use Andrea’s All Purpose Gluten Free Flour – not sure if you can find it outside of the St. Louis Area. 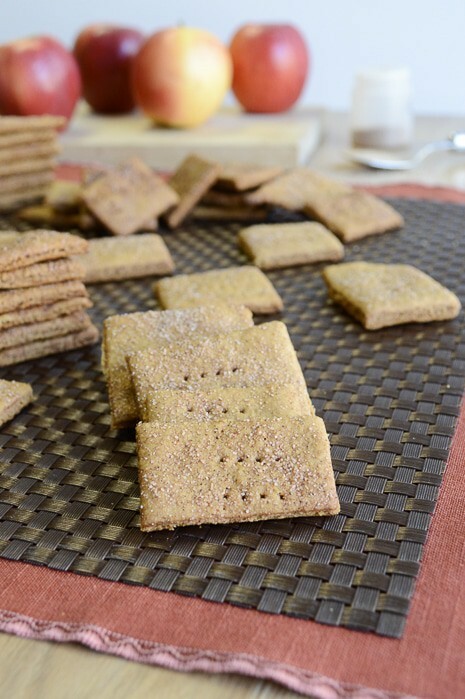 I’ve never made graham crackers myself before, I love the flavors you choose to add to yours, sounds amazing! Liz, you have got to try them! Best homemade snack food ever! I featured your recipe for this week’s Tasty Tuesdays! 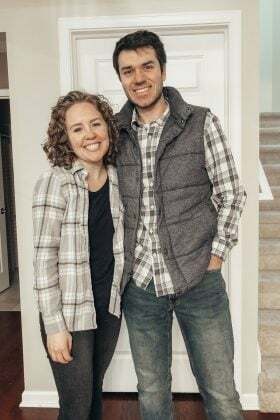 I hope you’ll stop by and linkup again this week! Ohhh these sound amazing!! Definitely on my list of things to try. Thanks for sharing at Artsy Corner Link Party! You were featured today!! Those look so yummy! Pinning to try soon. If they are Graham crackers, why is there no Graham flour in the recipe? 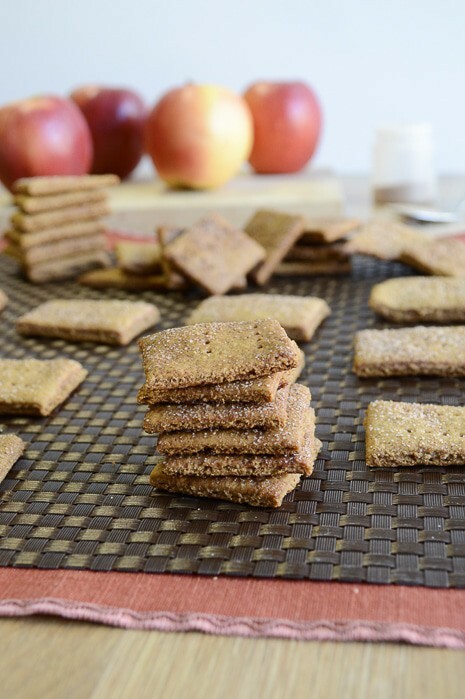 Not all homemade graham cracker recipes need graham flour. These are really delicious and taste like graham crackers!